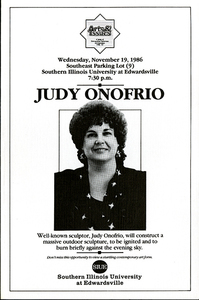 This photo shows sculptor Judy Onofrio standing in a parking lot of Southern Illinois University where she constructed a sculpture for a live audience. 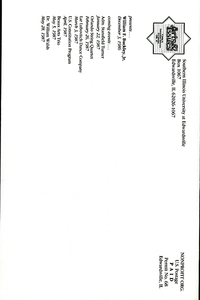 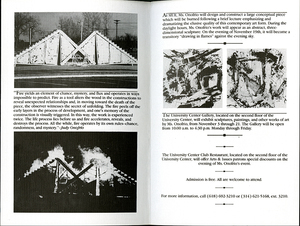 This photo shows the sculpture that Judy Onofrio constructed for a live audience in a parking lot of Southern Illinois University of Edwardsville. 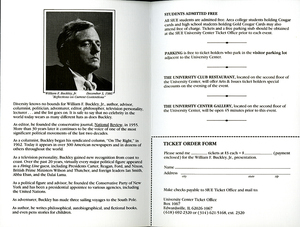 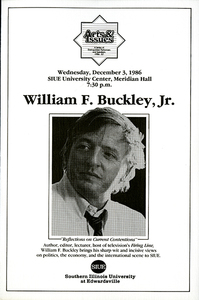 This photo shows William F. Buckley, Jr. speaking at Southern Illinois University during his presentation, "Reflections on Current Contentions." 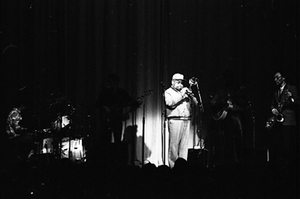 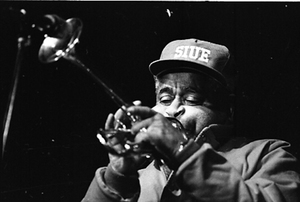 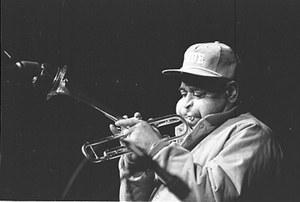 This photo shows jazz trumpeter Dizzy Gillespie performing at Southern Illinois University of Edwardsville. 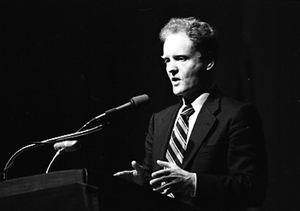 This photo shows Lester Thurow speaking at Southern Illinois University of Edwardsville during his presentation, "The Hollenhurst Lecture on Issues in Public Policy (The Zero Sum Solution: The Next Four Years)."